I’m sure the San Francisco art community and the residents of North Beach are as grateful as I am that they didn’t give up their vision of having an inviting space that could both showcase and elevate the work of talented artists while completely lacking in the pretension and stuffiness that can turn people away from so many other galleries. 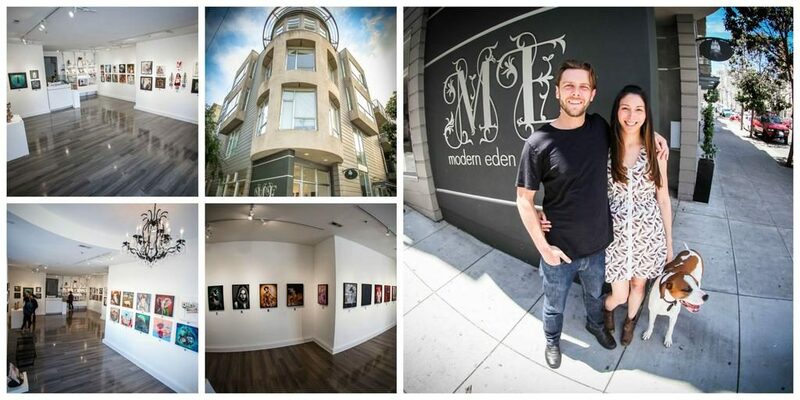 In addition to their monthly opening receptions, Modern Eden participates in First Fridays as well as artist mixers and poetry readings that draw a fun and eclectic crowd. This year’s exhibition, Portraits of Friends, is inspired by the online communities and internet friendships that have developed over the course of our journey as a gallery. Social media has become more than a platform for staying in touch with friends, it has become a powerful tool for visual artists to engage with growing fan bases, network with fellow artists, and develop meaningful and often complicated relationships. The show will be on display from June 11–July 1, 2016.